Your car. Whether it is your pride and joy or your number one source of frustration – you can’t deny how much you rely on your car to get you through daily life. From getting you to the office on time each and every day, to safely transporting your children to school and extracurricular activities, to using your car for grocery shopping and other critical errands – your vehicle is more a part of your life than you might realize. Some car owners have a healthy relationship with their vehicles, while others loathe their very existence. Regardless of where you fall on this spectrum, taking proper care of your vehicle helps ensure that it continues to provide you with reliable transportation, and doesn’t cause you a bigger headache down the road. Unfortunately, simply following up on regular maintenance is no longer enough. Checking these tasks off of your list is important, but just as important as having it done, is where you get an oil change. Coupons, deals, and unbelievable sales on important maintenance needs can be tempting, but there are plenty of reasons why you should skip over sales that simply seem too good to be true. Your car is your lifeline, and you rely on it more than you might think. All too often, we take advantage of the fact that we sit behind the wheel of our car, turn the key in the ignition, and are free to travel wherever we need to go. Whether you work from home and use your vehicle to get groceries and run other important errands, or you happen to commute into the office each day, your vehicle is crucial to your daily routine. Whether you put hundreds of miles on your car a week, or just a few dozen, keeping up with regularly scheduled maintenance is important – and it can also add up quickly for those with longer than normal commute times. 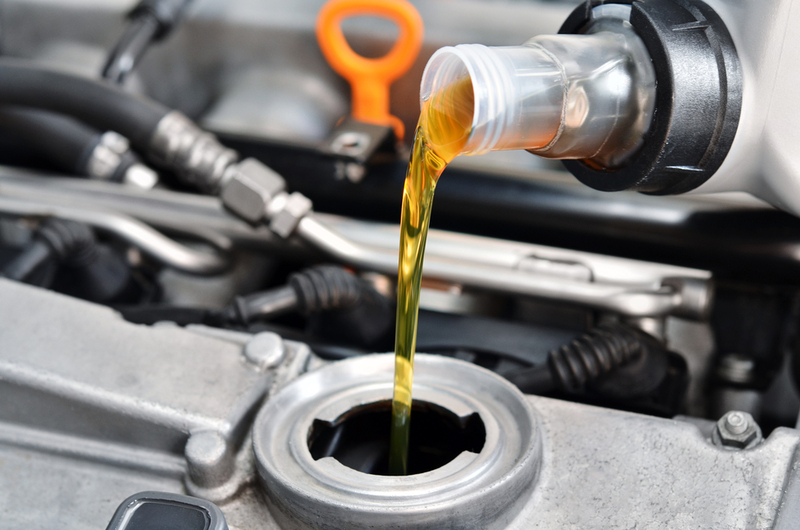 As tempting as it may be to swing through your local quick lube for a fast and cheap oil change, you will want to exercise caution and think twice before spending the minimum amount on your car’s health. While your car is not a person by any means, cheaping out on an oil change can be likened to bargain-hunting for medical treatment. When faced with a medical issue, our first response isn’t to find the cheapest of three quotes to get things taken care of at a minimal cost, but rather to find the best available doctor no matter the cost. Your car’s health may not be as important as your own, but maintaining it to the highest possible degree will end up saving you money down the road in repair and replacement costs. There are more than four reasons why you shouldn’t shop around for bargain pricing when it comes to your car’s maintenance requirements. But for now, check out these four great reasons why you should steer clear of cost-cutting, and instead choose a reputable service center with certified technicians. Shady Business Practices: Remember how we said that roadside car shops don’t have to answer to anyone but themselves? Not only does this lead them to providing lower quality service and technicians, but also encourages shady business practices. I once spoke with an individual who worked for a quick lube chain for many years, and he informed me that his boss encouraged the staff to “fake” problems with vehicles that did not exist. They kept faulty engine parts on hand to show the owner of a vehicle what was “wrong” with their car, and then charged them to “fix” it. He laughed as he reminisced about the “good old times,” as I cringed imagining how many people get ripped off on a daily basis at these types of businesses. With no real accountability, ethics are thrown to the wind, and you, as a consumer, suffer for it. Protect yourself, your vehicle, and your money by skipping these bargain shops, and head straight for a certified service center. Low Quality: Flashing neon signs, promising the best deals in town on oil changes, are more than enough to tempt most drivers into giving bargain quick lube businesses a shot. As harmless as it may seem at the time, these basement-priced garages usually have one thing in common: low quality. As much as you want to save a few bucks here and there, the sacrifice in overall quality is hardly worth the $5 you may end up saving on a single trip. Certified Service Centers are held to a high standard set forth by automotive manufacturers, while roadside garages don’t answer to anyone. Which one would you rather trust with the car you rely on day in and day out? Un-Certified Technicians: When you visit a certified service center like the one at DePaula Chevrolet, your vehicle will be worked on by a certified professional technician who receives ongoing training in the automotive industry. Cars are constantly evolving, with new engines, transmissions, and other components added with each passing year. Roadside garages may have a technician who claims he has been “certified,” but it is unlikely that he regularly undergoes additional training as new vehicles are released. If you suspect that a technician has received more of his training at YouTube University than at an actual accreditation center, run the other way. No Guarantee: It shouldn’t be surprising to hear that the same types of shops tricking drivers into paying for unnecessary repairs, are also turning their backs on customers who encounter problems after a routine maintenance procedure. A budget-friendly oil change should not turn into a disastrous nightmare, and if it does – the shop in question should stand by their work. Roadside garages are notorious for either ignoring any residual problems customers encounter after service, or denying any responsibility whatsoever. A reputable service center will seriously listen to any possible concerns and address them in a proper manner until the issue is resolved. Don’t get stuck with an outrageous bill or a broken down car just to save a few bucks here and there. Instead, take your vehicle to a trustworthy and certified service center like the one at DePaula Chevrolet. Staffed by professionals who continuously update their certifications to best service new models, DePaula Chevrolet is the top rated service center in the entire Albany area. Bring your vehicle in today, and have peace of mind for tomorrow.